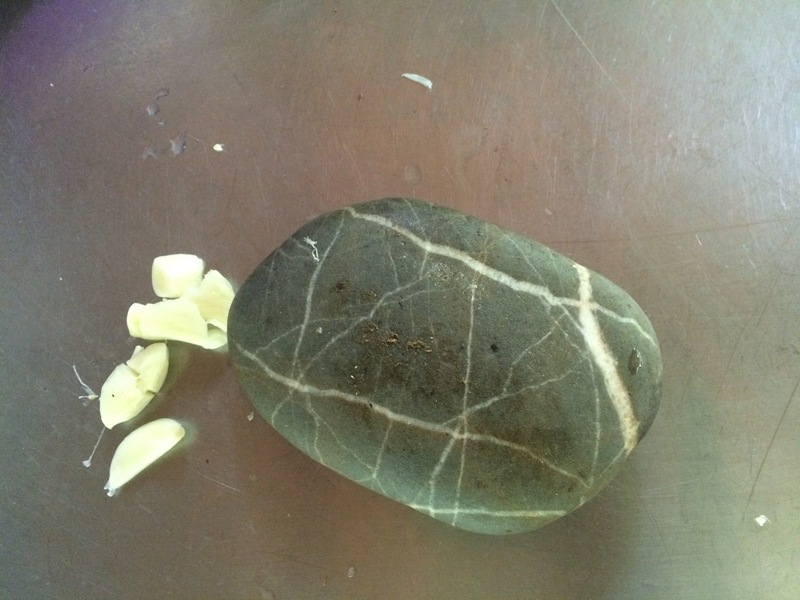 Great post and I love the idea of a kitchen rock! Thanks! My mom will be so pleased. You fruit leathers look delicious and I just want to bite! I have never made them before and chicken feet are on my list to taste! 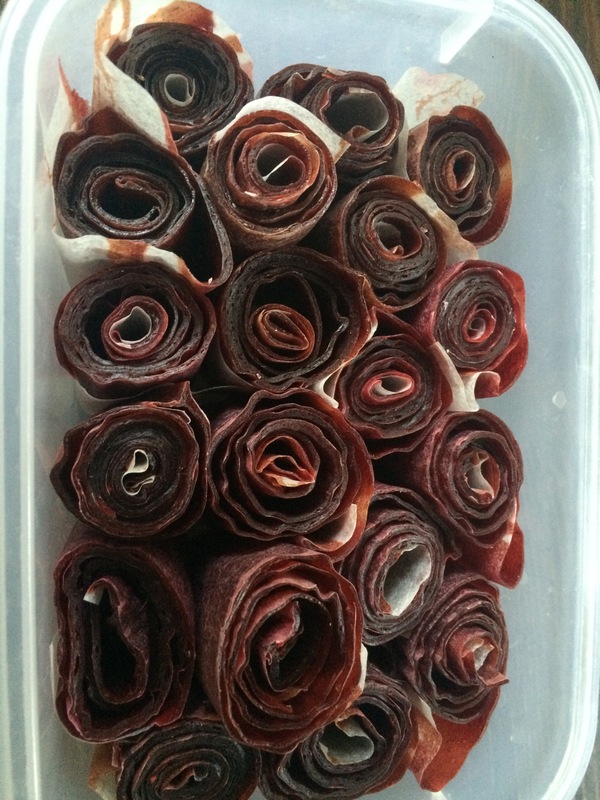 I was surprised by how easy fruit leather was to make. I hope you’ll enjoy chicken feet as much as I do! Not everybody’s cup of tea, to be sure! Glad you liked the rock though. Thanks for stopping by! I love the photo of the fruit leathers — intriguing! The Rock is fantastic too. It is so easy to get caught up in all the latest gadgetry and over look the simple, successful tools. The simplest tools can be the best, it’s true. I have to admit that I am not immune to the charms of a bit of kitchen gadgetry, though. Nor me. Fortunately I am limited by space! What a great IMK you posted this month. I can imagine how your fruit leather goes quickly. I love your ‘garlic crusher’! I enjoy finding stones on the beach but usually smaller ones, like some flat ones I found recently that felt like large coins. 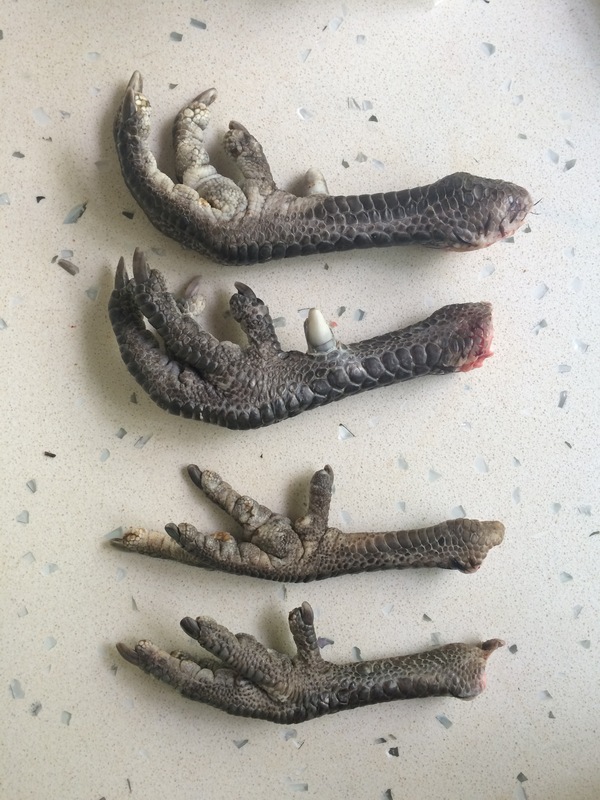 The chicken feet post was interesting, we haven’t any spare ones yet!